There are no upcoming “Adult Beginner's” classes on this day. Classes take place at Dunlevy Milbank Center at 32 West 118th St. Enter through the main entrance at 14-32 W 118th St (between Lennox Ave and 5th Ave) and sign in at the front desk. The pool is located through a set of glass doors to the left of the front desk. Locker rooms are located downstairs, one level below the pool deck. I've been going for some weeks now and continue to get comfortable in the water. Great instructors and structure. My swimming is progressing and I'm challenged every single time. Thanks! Zen was amazing..very helpful! Will go again. Zen (instructor) was very helpful. Don't expect much from the facility and be sure to bring flip flops. 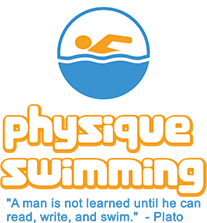 Great for beginner swim class. This is such a great class for learning to swim and developing great technique. I was the only one in class and although it had been over two years since I took a swim class, I got a lot further this time around.